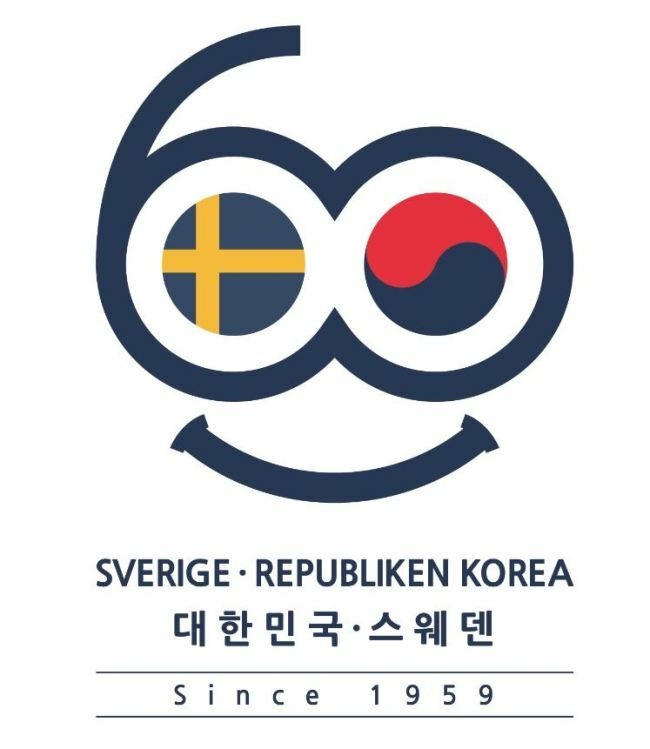 The Swedish Embassy in Seoul and Korean Embassy in Stockholm jointly announced the winner of the Sweden-Korea 60 Years Logo Design Competition last week. The honor went to Jo A-ra, who works as an editorial designer at a company in Korea, out of 200 entrants. Her design will be used at promotional events and on items for next year’s 60th anniversary of bilateral diplomacy. Since establishing diplomatic relations in 1959, Stockholm and Seoul have developed strong ties in various fields, and the event marked the onset of celebrations slated to take place throughout next year, according to the diplomatic mission in Seoul. Jo will receive round-trip flight tickets between Korea and Sweden and free hotel accommodations for five nights, and be invited to various events next year. The celebration includes monthly events jointly organized by the Swedish Embassy in Seoul and Korean partners and companies, ranging from culture to trade. The schedule for all events will be shared on the embassy’s official website and social media platforms.